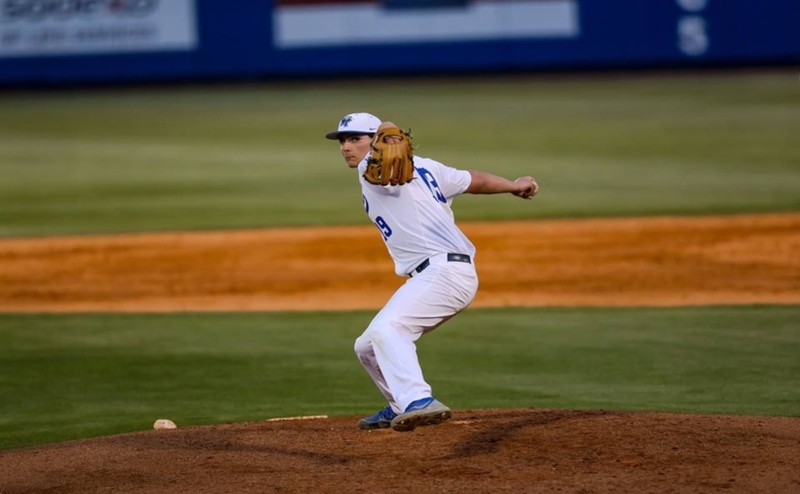 The Middle Tennessee State Blue Raiders (7-12, 2-1) returned to Murfreesboro Sunday night after winning two out of three games in a series against the University of Texas San Antonio Roadrunners (8-12, 1-2) that ended what was a seven-game losing streak. 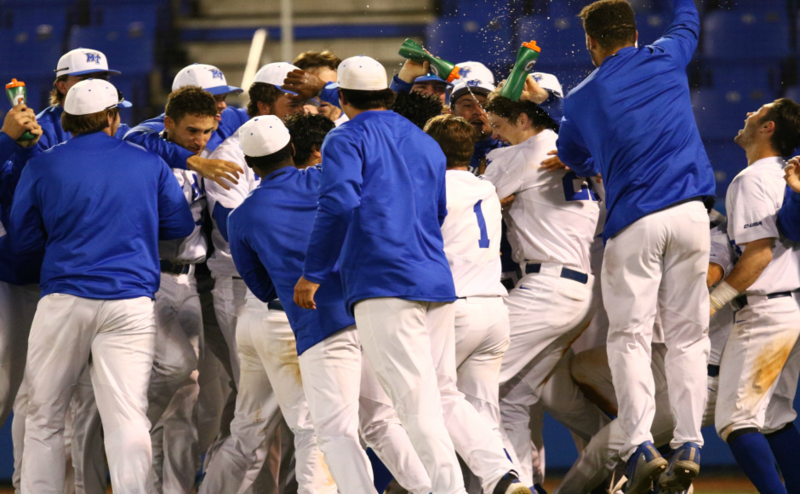 The Blue Raiders found themselves in a 4-0 hole after eight innings in game one on Friday after the Roadrunners’ Bryan Arias hit a homerun that sent teammate Ryan Stacy to home plate in the fifth inning. 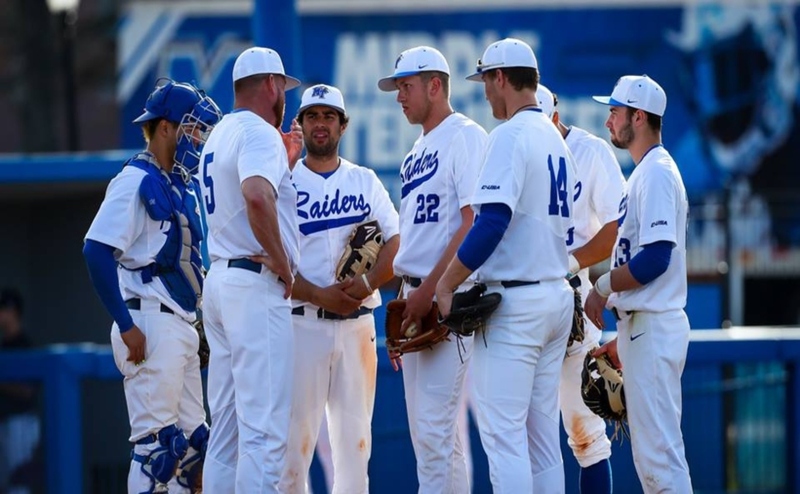 MTSU remained scoreless until the ninth when Raiders’ JT Mabry hit a double down the left field line that allowed Blake Benefield and Aaron Antonini to each score runs that narrowed the deficit to two runs. The Raiders continued to pour on with five more runs in the ninth making the final score 7-4 in MTSU’s favor. On Saturday, the Blue Raiders jumped out to a 2-0 over the Roadrunners after two innings thanks to runs from Antonini and Darrell Freeman. In the next five innings, UTSA went on to score nine unanswered runs with Shane Sirdashney accounting for three RBIs. After seven, UTSA led the ballgame 9-2. The Blue Raiders finally answered in the eighth with a homerun from Freeman, who scored his second run of the afternoon. Benefield also homered later in the ninth, but it was not enough to elevate the Raiders, dropping the second game 10-4. 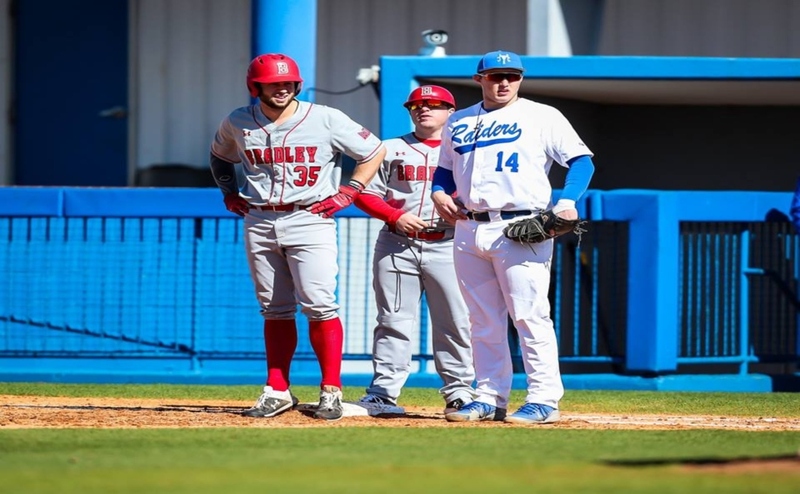 In the final game of the series, UTSA jumped out to a quick one-run lead after one, but the Blue Raiders were able to answer stronger in this game than the second game. 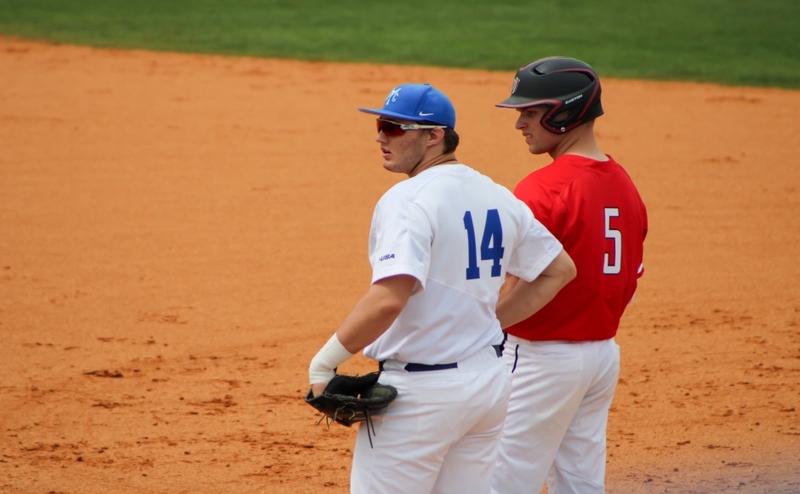 Tanner Parker got things started for MTSU in the second with a single to left center that allowed Darien Prewett to advance to third and Brycen Thomas to home plate. Myles Christian accounted for an RBI that sent Prewett home with Park following him at second. The Raiders stayed hot with a single from Mabry that allowed him to advance to second thanks to an error. Parker was sent home on Mabry’s single, and Mabry scored shortly after by way of Antonini single. MTSU held a 4-1 lead after two innings. MTSU never looked back for the remainder of the game. Freeman homered a ball down the left field line that sent Thomas and Nick Carnevale home putting the score at 7-2 after the top of the eighth. The Raiders held steady in the ninth and walked away with a 9-4 victory. The Blue Raiders return to action at home on Tuesday versus Lipscomb (10-8) at 6 p.m.